Abington Ridge is currently experiencing an extreme seller's market. Homes with lots this size backing to common space are really in demand. Most of these homes will sell quickly. Wondering what your Abington Ridge home is worth? Click the photo below to be taken to an instant property valuation report. 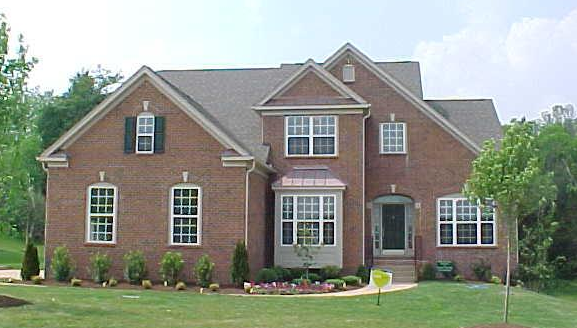 Abington Ridge draws buyers because of its prime location to the Cool Springs area. However, sellers must remember pricing is still paramount to securing a quick sale. Buyers are most concerned with pricing and condition. Some of the early buyers might need to make some updates to appeal to today's buyers. The best way to know that is have Franklin Homes Realty LLC out to view your home. With 92% of buyers beginning their home search on the internet, you need your home to have the best coverage possible online. This goes far beyond just syndicating your home to other websites. At Franklin Homes Realty LLC, we use the latest technology so your home is seen by a large pool of buyers, including buyers outside our local market. We do this through the use of social media and blogging. We provide the #1 home search for buyers looking in Franklin TN neighborhoods. Not convinced that Franklin Homes Realty LLC leads the pack in internet dominance, let me Google that for you. As you can see our website, www.FranklinTNHomesforSaleOnline.com ranks in several places on the first page of Google. We are the only local real estate team to do that. The other spots are taken by national real estate sites and brokerages. This placement isn't due to ads. The only way to rank in these spots is by being recognized as an authority by Google for Franklin TN real estate. Curious how we do this? When you get ready to sell your Abington Ridge home, contact Tammie White of Franklin Homes Realty LLC at (615) 495-0752 and we'd be happy to share how we can do this for you.